A Mortar and Pestle for glass. We had an artist come into our shop and wanted us to make something that would keep glass contained while she was crushing it. Bob designed a steel mortar and pestle that worked fabulously. Inside dimension of tube 3". Length of tube about 7". 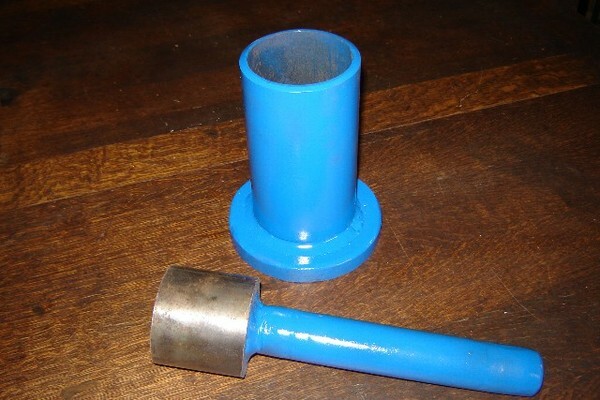 Tube is welded to a 5"-7" round steel base. Please allow 2 weeks. Because of the weight of this item, an additional $50 will be added to the Flat Rate Price.